A Google Partner Agency is an online marketing company trusted by Google. The Google Partner badge recognizes companies that excel with Google’s products. Their businesses are healthy, their customers are happy, and they engage in Google’s best practices. As a Google Partner Agency, our Account Managers are certified in Adwords Fundamentals, Advanced Search Advertising, Display Advertising, Google Shopping, Mobile Advertising, Video Advertising and Google Analytics. This means that your account will be in the hands of one of the few companies in the entire industry that have all of these certifications for their entire staff. Our team also prides itself in ongoing training and once a month we participate in employee-led training sessions that allow us to keep up to date with all of the latest changes the search engines have made. We read industry blogs on a regular basis, attend industry conferences and trade shows and partake in online webinars. The Xcite Group values our partnership with our Google team and together, we work hard to deliver on the goals of our clients. 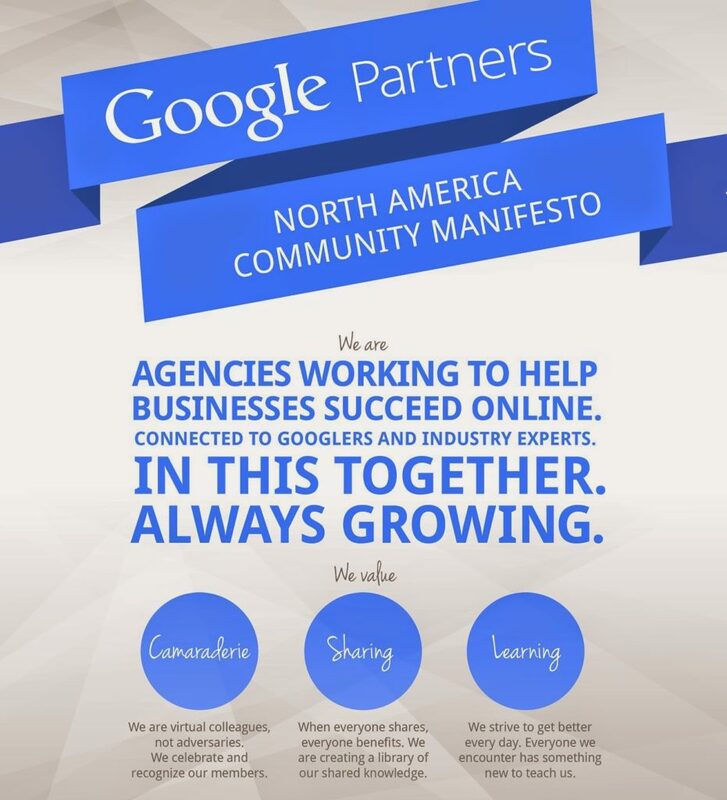 The Google Partners community together created a manifesto on what it means to be a Google Partner.